Activated carbon is an effective way to remove and prevent odors / fume buildup in recirculated air. 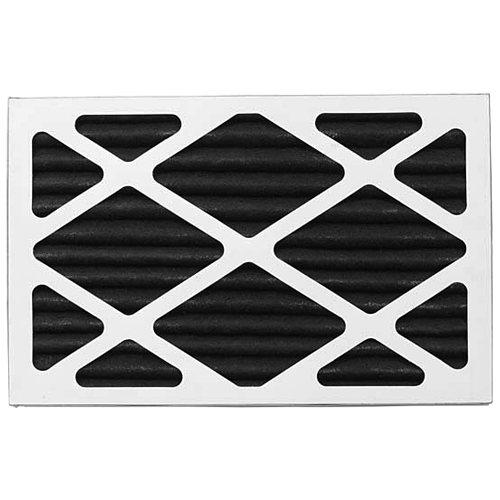 Permatron offers two types of disposable, extended surface carbon pleated air filters, with 60% activity granular activated carbon. This 1″ pleated type filter has approximately 3X the effective carbon media surface of our ¼” panel filter. Activated carbon with alumina and 5% potassium permanganate should be used for light gas removal, including ammonia, formaldehyde, hydrogen sulfide and sulfur dioxide. Permatron’s custom air filters feature high performance 100% synthetic air filtration media that is pleated and impregnated with activated carbon to allow total media usage, maximum air flow and high dust holding capacity. Model CHARPL is available in 1″, 2″ and 4″ thickness. Model CHARBXPL is available in 1″, 2″ and 4″ thickness.